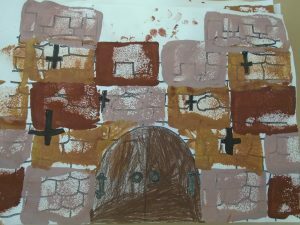 Article 28: You have the right to a good education. 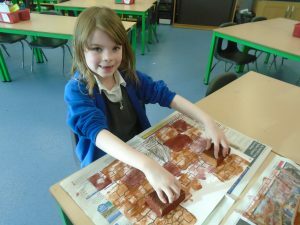 Nightingales next steps in our art/DT unit is to start printing with the shades of brown we mixed last week. 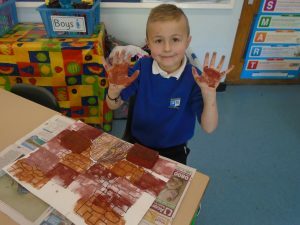 We used rectangle sponges to make stone shaped prints on our castle sheets. 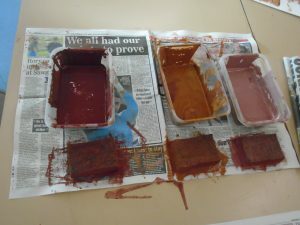 It was a bit messy but good fun. I wonder what the next is going to be?